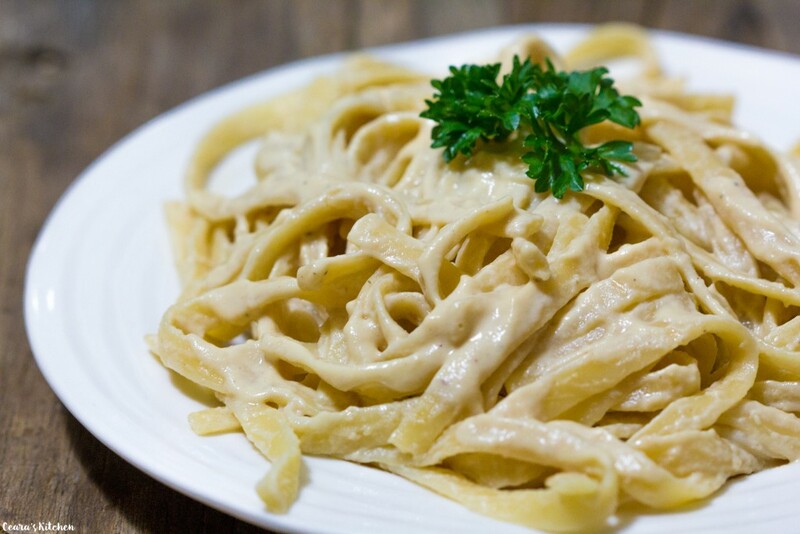 CREAMY, dreamy, velvety and rich VEGAN Fettuccine Alfredo with flavorful undertones of garlic and onion roasted to perfection. That’s right. This Fettuccine Alfredo is, believe it or not, completely, 100% dairy-free. Do you luuuuuuuurve Fettuccine Alfredo? It has always, always, always, hands-down been my favorite pasta – period. Thing is, as much as I loved Fettuccine Alfredo in my -pre-gan (ha!) days, the traditional dairy-filled Fettuccine Alfredo I sometimes had as a treat always left me feeling bloated with a painful stomach ache. Ouch. Say whaaaaaaaaat?!? Okay, stay with me here. Pine nuts blended up create the richest, creamiest and cheesiest sauce ever. I’ve used pine nuts in the past in both my Mac & Cheese and my Creamy Rose Tomato Sauce and nobody has ever been disappointed! The mashed potatoes take this Alfredo’s creamy and velvety factor to a whole ‘nother level. Roasting the garlic and onions is a must in this Alfredo sauce because it takes the “bite” out of the garlic and onions and makes this sauce out-of-this-world flavorful. After one bite, I promise, you will not miss the cheese or dairy in traditional recipes one bit. My little brother‘s eyes almost popped out of his head when he reluctantly tried a bite of this Vegan Alfredo! After all his protesting he couldn’t believe that this Alfredo was well… vegan (lol!) and made with blended pine nuts and potatoes! He licked his plate clean and insisted on seconds! 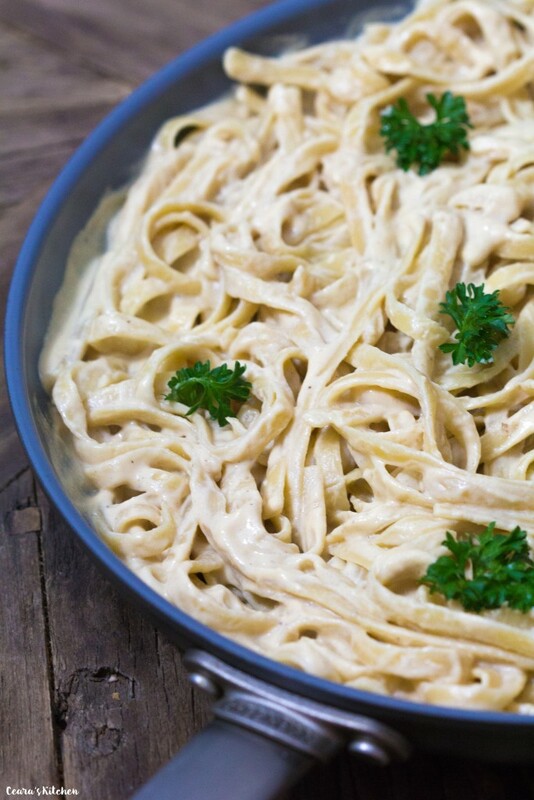 If you guys try this Vegan Fettuccine Alfredo at home, I LOVE seeing your creations. Leave your feedback below, on my Ceara’s Kitchen Facebook page or tag me #CearasKitchen on Instagram! You would never guess that this rich, creamy and velvety Fettuccine Alfredo is dairy free and vegan! 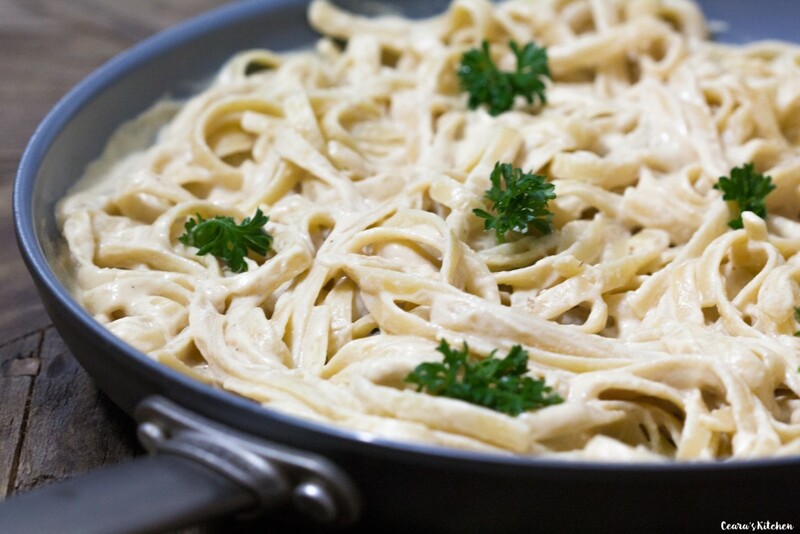 The roasted garlic and onion make this Alfredo sauce so incredibly rich and flavorful. The pine nuts and potato create an unforgettably creamy and velvety sauce that tastes absolutely amazing smothered over fettuccine pasta. Pre-heat oven to 425F/220C. Line a pan with parchment or with non-stick spray. Cut the onion in half and remove the outer skin. Place the onion flat size down in the pan. Peel the outer layers of the garlic off. Cut 1/4 inch (1/2 cm) off the top of the garlic head. Place the garlic, exposed head side up, in the pan. Roast for 25 – 35 minutes until the garlic and onions are both well roasted. The garlic clove should feel soft when pressed. Bring a large pot of salted water to a boil. Add the fettuccine pasta and cook according to the directions on the box until al dente. Peel the potato (or if you are lazy like me, leave the skin on if you have a very strong high-speed blender like a vitamix). Microwave for 2 – 4 minutes until it is warm and easily mashed with a fork. Measure out 1/3 heaping cup of mashed potato. Note: Do not boil the potato or it will make it too watery. If you do not have a microwave you could alternatively roast your potato with the garlic and onions. Once the roasted garlic and onions have cooled to the touch, remove any dark parts (you don’t want these parts in your light and creamy sauce!). Add 8 cloves of garlic, the roasted white onion, pine nuts, mashed potato, nutritional yeast, 3/4 tsp sea salt, pinch black pepper, nutmeg and 1 1/2 tbsp of lemon juice and water to the sauce. Blend until creamy. Taste test and add a couple more cloves of roasted garlic, a pinch more sea salt and lemon juice to taste. I like to add the full amount of each ingredient (i.e. 12 cloves roasted garlic, 1 tsp sea salt and 2 tbsps of lemon juice) but adjust to your particular taste. 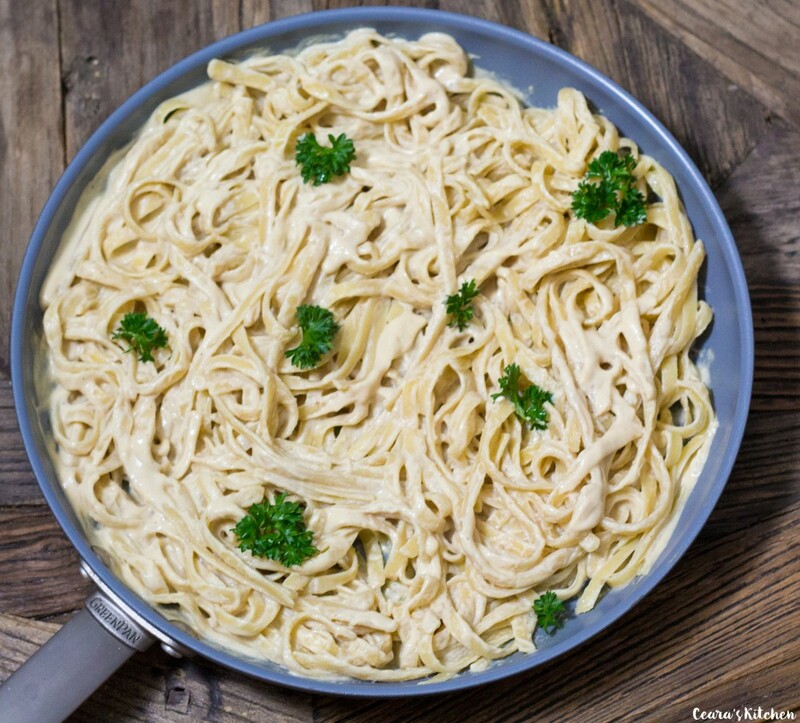 Serve the Alfredo sauce over the warm fettuccine pasta. Season with additional salt and pepper, parsley and pine nuts. 1) If you have a high-speed blender you should not have to pre-soak your pine nuts since they are a very soft nut. If you are using a stick blender, I would recommend to pre-soak your pine nuts in warm water while your garlic and onions are roasting. Drain your nuts and rinse them off before using them in the sauce. I have made a few different vegan Alfredo sauces and this one is by far the best!! It’s so yummy! I use a sweet onion, cashews instead of pine nuts because that’s what I always happen to have and I skip the nutritional yeast. One of these days I’ll try it with pine nuts instead. Thank you for a great recipe that I look forward to making for my vegan pasta primavera. 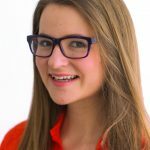 Hi Ceara…..love your recipes! Would sunflower seeds work in place of the pine nuts? I found this recipe on Pinterest when searching for a vegan white sauce and it did not disappoint! For the onions, I used one shallot and 1/2 of a large sweet onion. I was afraid the onion was going to overpower the sauce, but it doesn’t at all. It’s perfectly balanced and should work awesome as an all-purpose white sauce for pasta, pizza, and veggies. Thank you!! So happy you enjoyed the recipe, Cathy! 🙂 Thank you! My girlfriend found out a few months ago that she’s allergic to dairy and eggs and this week she was craving an Alfredo dish, so I went scouring the internet for a solid vegan Alfredo recipe. I happened across this recipe, which looked very promising. We made it together this evening, and I have to say that as a person who isn’t restricted because of allergies nor vegan, I was both happy and impressed with your recipe. Not to ruin the spirit of the vegan dish, but I will admit that we did bring chicken into the recipe because neither of us are currently vegan, but this base was incredible and I will be recommending this to people going forward. Definitely did not require our meat addition. We did make one substitution that I think I will revert the next time we make the recipe – we didn’t have pine nuts, so I used cashews. I found that they overpowered the dish slightly and I don’t know if it was 100% the correct flavour that your recipe was going for. Going forward, I’ll be using the pine nuts, as described in the recipe, because I get the feeling that’s where a significant portion of the flavour should come from. The only other adjustment we made was to try to make the sauce more creamy / liquidy by adding a little water after we got the Alfredo into the pan. My plan next time is actually to try simmering some white wine before adding the base, using it both the flavour and try to bring the viscosity of the mixture down. Regardless, I still think this is an incredible recipe. I have your site bookmarked now and will be regularly using it for my allergy-friendly needs. Thank you so much! Hello! I’m from argentina, and we don’t have pine nuts here. We have pistachios, cashew, pecan nuts, almonds. What can I replace it with? Thank you Ceara for this awesome sounding recipe. I’ve been vegetarian for about 3 years now but oddly enough, when i gave up meat, I went total ‘cold turkey’ and went vegan… for a while… felt infinitely better but soooooo missed dairy and especially cheese. I have asthma and dairy just kills me.. i love it but it hates me.. my lover is my nemesis.I wantb to go vegan again but finding easy quick recipes with alll the cheesy taste but non of the harm seems nigh impossible. Apart from this recipe.. any quick tips/.pointers to adapt cheese recipes? Thanks for sharing your story! I hear you – dairy was one of the last things I gave up. I can now honestly say I do not miss it one bit. 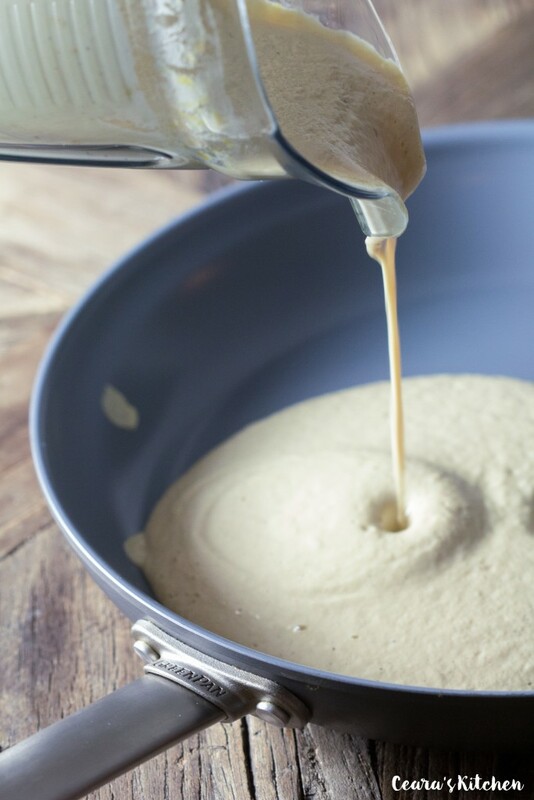 Do you ever use nutritional yeast? 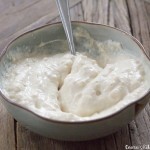 It is amazing and really brings out that cheesy taste in dairy-free dishes. Your taste buds will adjust, I found for me it took a few weeks, but they truly do! Keep me posted on your vegan journey. What do Pine Nuts taste like???? This looks so creamy! I can’t eat pine nuts though. I get what they call “pine mouth.” It’s a thing, I swear. The taste of pine is left in my mouth for literally 3-5 days after eating them. Not good. I have made your Rose sauce in the past and I can’t for the life of me remember what I replaced them with. Love the other ingredients here though. Will definitely try with something else in place of the pine nuts. Yummy! This looks so insane and creamy Ceara! I love it so much! I love that you used potatoes! That is one of my favorite ways to use it too, in sauces to give that extra creaminess. I can’t wait to try this! I love that you used pine nuts too. They give such a buttery flavor! I can totally see why everybody loved this so much, I bet I would too! <3 Thank you SO much girl!! The potatoes make this Alfredo SO creamy!! <3 Thank you so much my friend!! 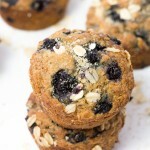 It's a recipe I've been experimenting with for awhile! I love how darn creamy potatoes are in sauces!